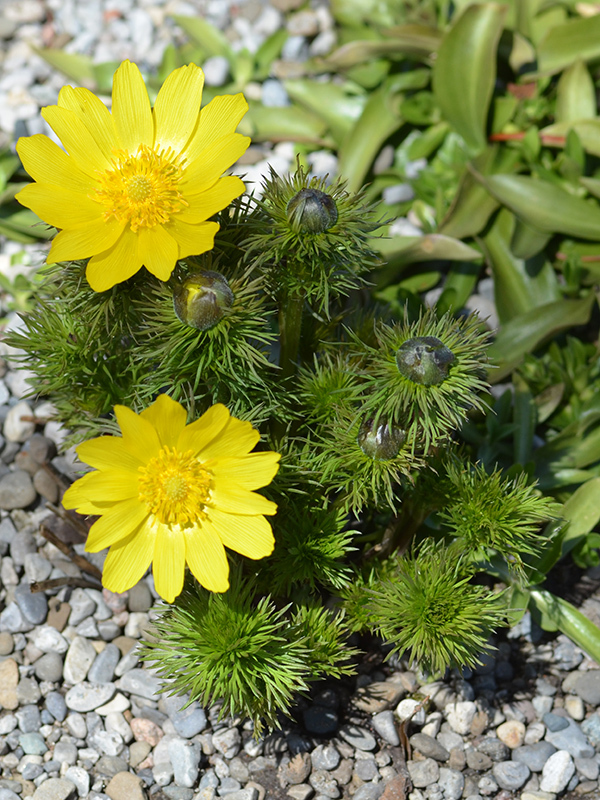 Spring Adonis (Adonis vernalis, Pheasant’s eye) is native to Europe, whereas the more commonly seen, if one can say that about Adonis, is the Asian species, Adonis amurensis, which is highly collectible in Japan where many forms have been introduced. Spring Adonis is in flower in March, and the seeds ripen from May to June. The flowers are hermaphrodite (have both male and female organs) and are pollinated by bees, flies, and beetles.The plant is self-fertile. Adonis is a herb growing from 12 to 15 inches high. The stem is branching, and the leaves many-cleft and sessile. The flowers are large, yellow, and attractive, with 10 or 12 oblong, spreading petals, slightly toothed at the apex. The fruit consists of numerous 1-sided acheniae. 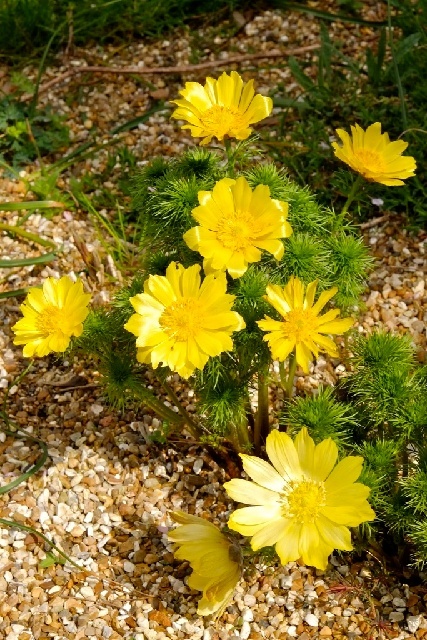 Adonis flowers are well-suited to rock gardens. These clump-forming perennials can be divided for propagation when they go dormant in summer.